As with many innovative developments the insertion of double-J stents has now become a standard procedure, so much so that it is difficult to remember how one managed without them. 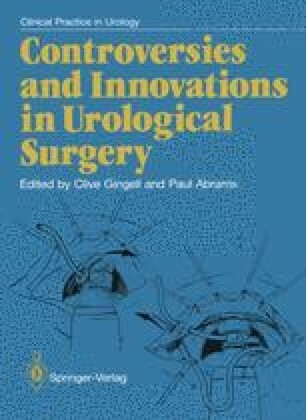 Many practising urologists have witnessed the demise of the T-tube, so frequently inserted after open ureteric surgery, and have experienced the value of the double-J stent inserted endoscopically in the management of the obstructed ureter, whether caused by stone or stricture. The immediate management of retroperitoneal fibrosis (Deane et al. 1983), acute hydronephrosis of pregnancy (Lowes et al. 1987) and ureteric obstruction caused by sloughed papillae or matrix normally with a closed renal infection are valuable applications that complement or obviate the need for percutaneous nephrostomy and, occasionally, dialysis.